Online activist group Anonymous has released several e-mails obtained from Bank of America Corp early Monday morning. It seems that the documents contain clear evidence of fraud and corruption at the largest U.S. Bank. On Monday, documents were published by the notorious hacker group, which it claims to be from a former employee of Bank of America. The group Anonymous has become an increasing danger for the U.S. government and its allies. After their crackdown on Wikileaks, a group of 4 connected hackers organized attacks on government and financial institutions. The Bank of America e-mails (long awaited from Wikileaks) are finally being released. Published on the site bankofamericasuck.com, they are, in theory, available for anybody who wants to see. The site, however, was down for a long time this morning, being overwhelmed by requests. The e-mails haven’t been verified yet, but apparently they show a discussion between the employees of Balboa Insurance about removing tracking information from loan documents. 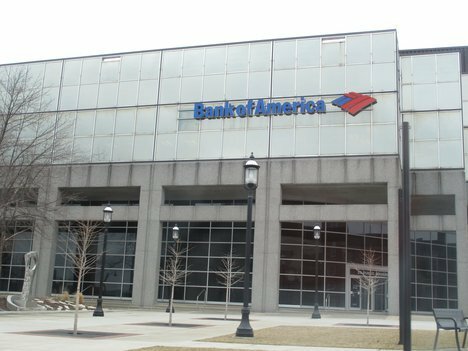 A representative of Anonymous said the documents relate to the issue of whether Bank of America has improperly foreclosed on homes. These claims come in the wake of accusations from consumer groups that some U.S. lenders, including Bank of America, have been foreclosing homes without the proper documentation. The representative added that he had not seen the documents, but he has been briefed on their contents. Bank of America reacted to all these statements and denied the accusations. “We are confident that his extravagant assertions are untrue,” a Balboa Insurance spokesman said.